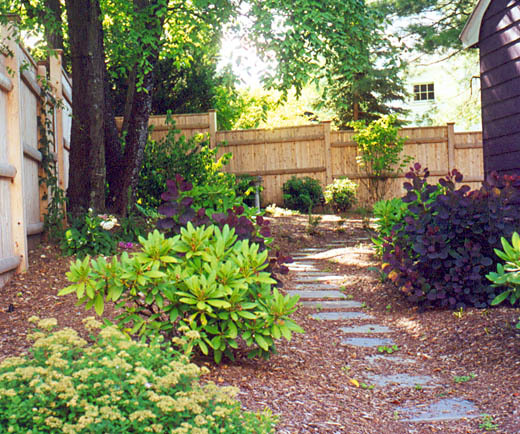 Problem: Unused side yard offers uninteresting view from street. Maintaining the lawn is difficult and disagreeable as the mower must be carried up steps. Solution: A mulched shrubbery framed by a new fence. Forced perspective makes the garden seem deeper. Repetition of rhododendrons creates winter interest; pink spirea and purple smokebush create summer variations.